Over 300 million people use Twitter worldwide, flocking to the popular social media site for cat videos, breaking news and the latest viral memes. But as an avid traveler, have you ever considered that you can also use Twitter to stay abreast of flight news? From new routes to airplane crashes to travel waivers, Twitter can be a great place to keep track of what’s happening above the clouds. Even better, if you get into a sticky situation, Twitter can help. “You may find that using social platforms like Twitter is a better way to get attention from the airlines,” reads a New York Times article (for more, check out this article on the best way to complain to airlines on Twitter). Here are the top five Twitter accounts you should follow for airline news. “Lots of aviation news and updates. Occasional aircraft photos too. 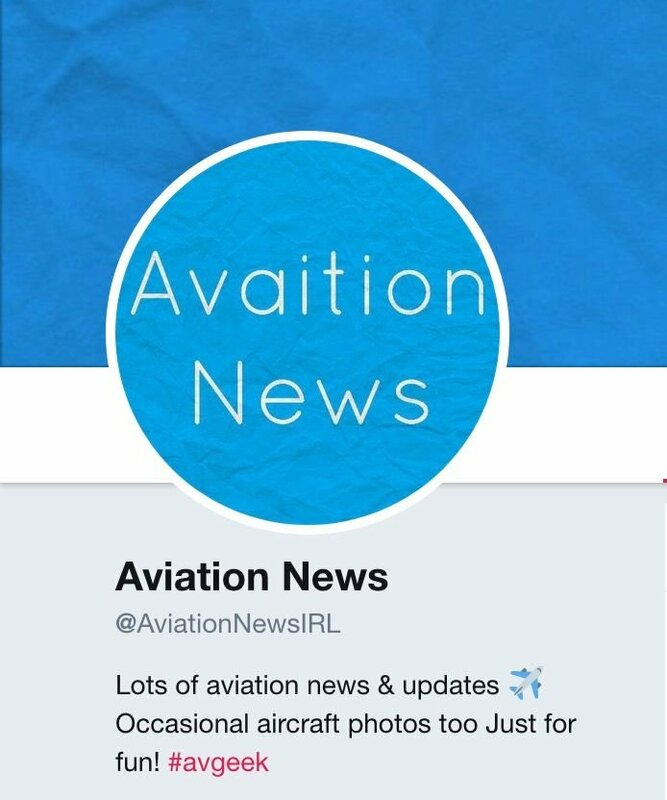 Just for fun!” reads the Twitter bio of the Aviation News account. This Twitter account has only been around for a couple of years, but it’s a great way to stay on top of what’s happening — instead of creating original content, Aviation News primarily retweets information about the airline industry, curating a feed full of breaking news from a variety of sources. Aviation News can serve as your one-stop shop to hear everything that’s happening in the air straight from the sources. The World Airline News Twitter account is run by Bruce Drum, editor of the World Airline News website. He uses Twitter to post the latest airline news each day plus plenty of colorful photos. When it comes to airlines, this Twitter account doesn’t discriminate — it focuses on providing news from a diverse variety of airlines worldwide. World Airline News is a great account to follow if you enjoy long-form content, since the majority of Drum’s tweets send his followers back to the website for more in-depth information. The Airline Gossip Twitter account has 29,000 followers and is for “unofficial news” and “tidbits affecting the airline industry. For those who work there and those who travel — everybody!” Recent tweets include updates on a customs strike in Paris; speculations on the cause of an aircraft crash in Indonesia; and the news that Boeing has made some important leadership moves. Many of Airline Gossip’s tweets focus on the more technical side of flying, centering around specific jets and planes. Have questions about what kind of food you can bring on your next flight? Wondering what the weirdest item TSA has ever confiscated is? Check out TSA's two accounts — @TSA and @AskTSA. The official account shares tips and tricks for getting through security smoothly, and keeps you up to date on any changes to the screening process. @AskTSA, on the other hand, is devoted to answering your specific questions. If you aren't sure you can bring something through a checkpoint, whether it's knitting needles or cookie cutters, send them a tweet and put your mind at ease. UA688 DEN - ANC 7:10 p.m.
UA2417 PDX - EWR 10:39 p.m.
UA1695 SEA - EWR 11:00 p.m.
UA745 PDX - ORD 11:20 p.m.
UA619 SEA - ORD 11:30 p.m.
United Airlines uses its Twitter account to keep things casual and friendly with anyone who flies United (or anyone else who wants to follow along). And with over a million followers, the airline must be doing something right. United’s tweets tend to center around feel-good stories, notices of travel waivers and notifications of new routes. Following along with United Airlines is a great way to stay on top of what’s happening with not only United, but with the airline industry in general.